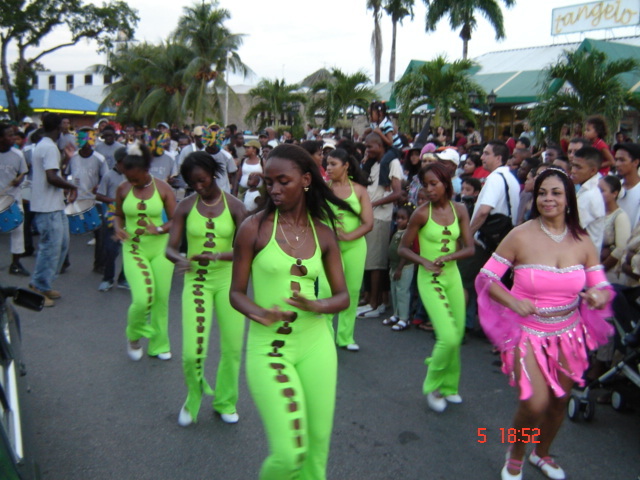 Suriname has a wide diversity of ethnicity and race. Although it has a small population - made up of less than 500,000 inhabitants - it has several tribes and ethnic groups, most of whom are descended from settlers, immigrants, and contract workers. The largest group consists of the Hindoestanen, which make up about 27% of the total population. These are descendants of Indians who came to Suriname to work. About 18% are Surinamese Creoles, descendants of Dutch and West African slaves; about 15% are Javanese; and another 15% are Surinamese Maroons. The rest of the population is made up of Amerindians, Ashkenazi, Sephardic Jews, Chinese, and Boers. The Republic of Suriname is located in the northern region of South America,sharing borders with Brazil, Guyana, and French Guiana. It is probably one of the few places on this planet where the old adage of 'size doesn't matter' holds true. It only has an area of 63,251 sq. miles and is South America's smallest state, but it is a land filled with beauty and rich biodiversity. Suriname is one of the best stops for tourists who wish to experience nature at its best. At least 12% of the land area consists of picturesque lakes and beautiful parks. The country has taken such good care of its natural resources that ecotourism is an important sector. Visitors often return to Suriname because it is a small country with a big heart and a big soul. Suriname probably got its name from a group of people known as the Surinen, who were the area's first inhabitants. The tiny nation of Suriname is made up of two distinct geographic regions: the low-lying coastal area in the north and the tropical rainforests of the south. Most of the population resides in the north where agriculture can be used for sustenance and trade. A small number of the inhabitants, however, choose to live in the savanna near the border shared with Brazil. Suriname has a tropical climate, characterized by very hot weather, with temperatures that tend to remain constant all year round. The dry season lasts from February until April and again from August until November. The wet seasons are from April until August and from February until March. 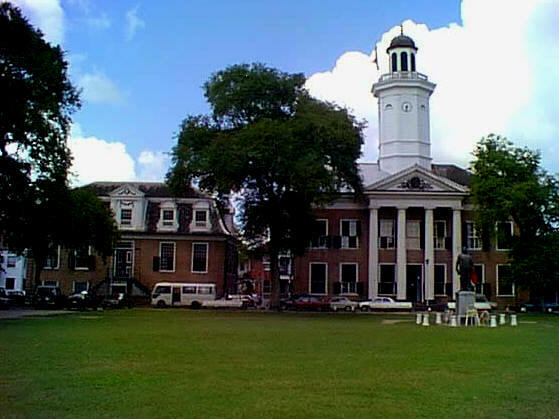 European explorers discovered the area now know as Suriname in the 16th century. Seeing the fertile potential of the Guyana Plains, the English and the Dutch later established plantation colonies in the area. African slaves were brought in to work on the plantations, growing and harvesting cotton, coffee, sugarcane, and cocoa. Runaway slaves were common at the time due to bad treatment by the colonizers. However, a group of slaves later known as the Maroons managed to gain independence for themselves courtesy of peace treaties with the Dutch. In 1863, slavery was eradicated, but the last slaves only gained independence 10 years later. Plantations were abandoned as former slaves settled elsewhere. Plantation owners brought in contract workers from countries such as India, the Middle East, China and Indonesia. Suriname did not gain independence from the Dutch until 1975. 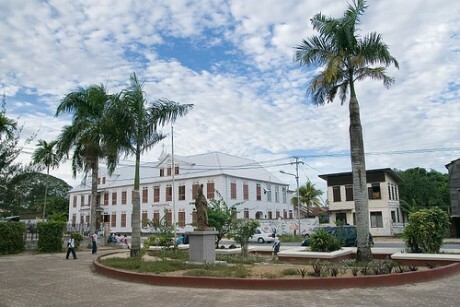 After turbulent early years as a nation, Suriname gradually achieved economic and political stability. Gold, oil, and bauxite were discovered and mined, adding money to the country's coffers. One of the biggest tourist draws in Suriname is its rainforest, with one of the most exceptional biodiversities in the Amazon. In fact, the Central Suriname Nature Reserve has been named as a UNESCO World Heritage Site. 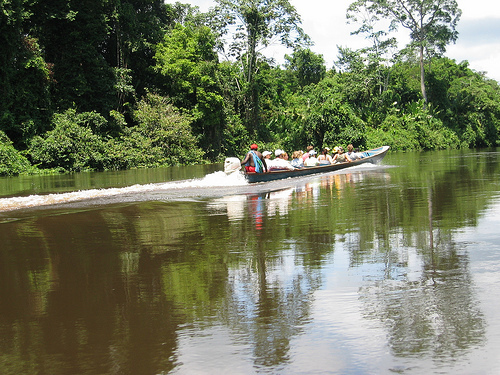 Suriname also has several national parks of note, including Coppername Manding, Galibi, Sipaliwani, and Wia Wia. The Tafelberg Nature Reserve, also an excellent stop, is fed by the Saramacca River and surrounds Tafelberg Mountain. The natural beauty of Suriname has been well preserved with some of the most stunning waterfalls in the region, including the famous Blanch Marie, Wonotobo, and Raleighvallen. Surinamers have also preserved a few of the plantations, now remnants of a bygone era. One such site is the Laarwijk, a lovely spot that tourists travel by boat to reach. Another point of interest is the 114-year-old Cathedral of Sts. Peter and Paul. It may be surrounded by rainforests but Suriname has a fun, active vibe that starts as soon as the lights go on. The busiest nights of the week in Suriname are Fridays and Saturdays, when locals crowd the bars, pubs, cafes, and nightclubs to unwind and have a good time. If you're looking for excitement, the capital of Paramaribo is one of the best places to be, although nearby areas also offer excellent entertainment. Good places to hang out include La Caff and Grand Cafe. For dancing, clubs such as Zsa Zsa Zou and Starzz are quite popular. For tourists wanting to try their luck, Suriname has several outstanding casinos, including the Savannah, Queens, Princess, and Torarica. 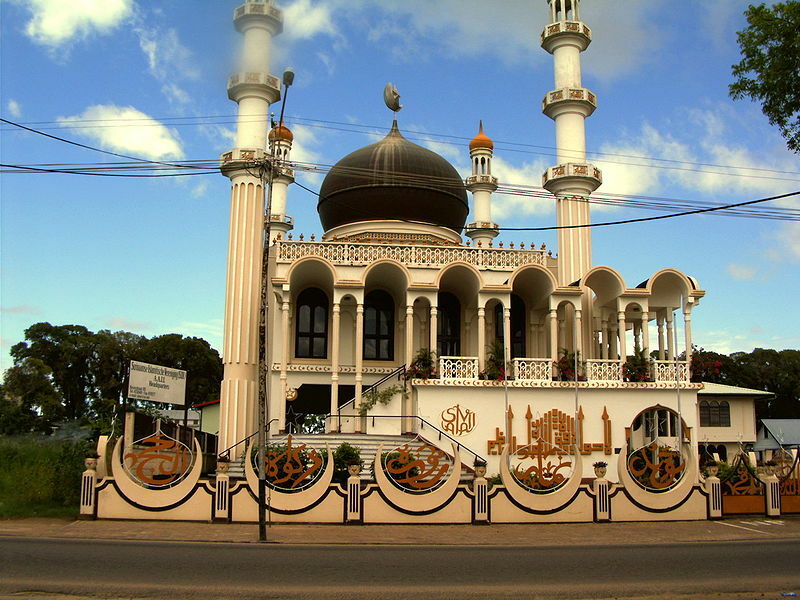 About 20% of the population in Suriname is Muslim. Inhabitants also practice Catholicism, Protestantism and Hinduism. Certain ethnic groups are more commonly associated with certain religions. Maroons and Creoles practice Christianity; the Javanese practice Islam, while a majority of Hindustanis are Hindus, although a few are Christians or Muslims. The official language in Suriname is Dutch, the medium of communication used in the business, media, education and government sectors and spoken by at least 60% of the population. In some regions, a Creole tongue called Sranan Tongo is also used. Other common dialects include Surinamese Hindi, Javanese, and Maroon. English is also used, primarily for education and business. Surinamers take time to prepare their food, making soups, sauces and entrees with deliberate care and attention. The results, of course, are dishes with depth of flavor and amazing taste. Some of the most popular dishes in Suriname are fried using vegetable oil, something that makes weight-watching tourists wary. The taste, however, turns them into instant converts. Be sure to try the puffed squares made with rolled dough or filled with cheese, fried meat and plantains. Dishes are frequently flavored with spices and herbs, particularly garlic, onion, and tomatoes. Food also takes center stage during festivals and celebrations. Vatapa is a common dish made with different types of fish, boiled vegetables and spices. Beef, cornmeal and beans are also common fare, especially during dinner. Soups are something special in Suriname, particularly because the meat -usually chicken or beef - is pre-marinated for at least 24 hours before cooking. Soups are generally thick and very flavorful.